While Italy is a country overflowing with wonders, there is one unmistakable jewel: Venice. We are located in the Veneto region: a land of rivers, cultural hotspots, verdant plains, sun-drenched hillsides and widely acclaimed wines. The Santomè is located right here, in the province of Treviso, in the area known as “the Garden of Venice”. This part of the region is rich in history and, moreover, is the heartland of a sparkling wine that is now famous around the world – Prosecco, which is produced here amid the lush Trevisan plains and the enchanting hillsides of the Conegliano Valdobbiadene e i Colli Asolani DOCG zone. 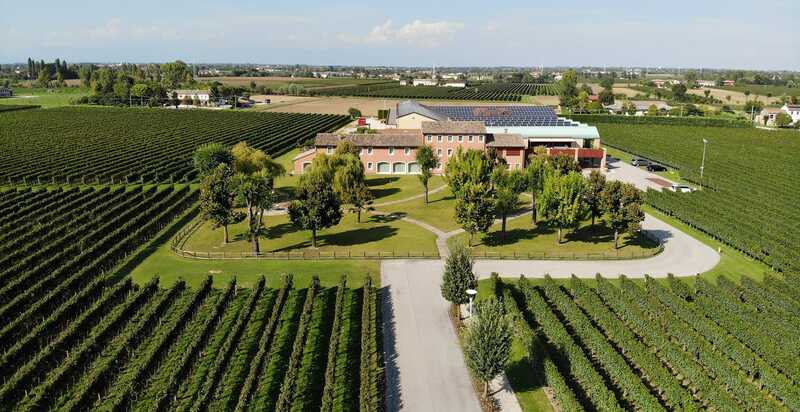 Italy is the world’s largest wine producer (55.8 million hectolitres) and the Veneto Region is the second largest producer amongst the Italian regions, with 8.4 million hectolitres, equating to 20% of the total annual national output (Source: Il Sole 24 ore newspaper). It is also the largest producer of wines with designation of origin amongst the Italian regions, with a constant increase in the use of native vines over international varieties (28 DOC wines and 14 DOCG wines). The Veneto Region is the homeland of excellent wines that are adored around the world, including Prosecco, Amarone, Pinot Grigio, Valpolicella and Soave. This helps to make the region the fourth largest global exporter of wines, behind only France, Italy (as a whole) and Spain, and ahead of Chile and Australia. The Santomè forms part of an important geographical context. We are proud to be a standard-bearer for the wines of Treviso province, and we believe that our high-quality wines express our great respect for the surrounding area.